Employee advocacy is a powerful tool whether you are looking to increase your corporate social media presence, generate leads, build and sustain public relations, for recruitment and much, much more. "Easy to use and open for change requests"
Richtext editor with a few more options when sending out invites to collegues would be a great addition to give the recipients a more easy overview of the text. Avoiding the declining reach of corporate posts on SoMe and enabling company experts and specialist to stand out as thought leaders. it's easy to post your content on different social media and to share it with your coworkers.. . It gives your company a stronger profile on social media. "Employee Advocacy made simple "
Fully equip your people to succeed in the digital world with the preferred employee advocacy and social selling platform. Used by leading teams in marketing, sales, internal communications, and recruiting. GaggleAMP activates your employees to drive digital engagement. Their employee advocacy solution makes it easy and fun for employees share relevant content on social media and perform actions to enhance your organization's digital marketing efforts. PostBeyond enables employees to share approved brand content with their personal networks in an efficient, consistent, and measurable way. Dynamic Signal redefines how companies communicate with the world. Their proven Employee Advocacy platform lets employees receive and post company-approved content to their social networks, transforming them into experts, advocates and contributors. The ultimate employee advocacy platform. SocialToaster helps you engage your fans and makes sharing your content over their social networks easy. CustomerAdvocacy.coms cloud based platform gives your team the power to activate your most loyal fans to support your business needs. Bunchball gives marketers, media sellers and employers the tools they need to drive high-value online engagement through gamification. Bunchball customers are using Nitro, our industry-leading gamification platform, to solve a wide variety of business problems, by encouraging highly valuable user behavior on their site. * We monitor all Sociuu reviews to prevent fraudulent reviews and keep review quality high. We do not post reviews by company employees or direct competitors. Validated reviews require the user to submit a screenshot of the product containing their user ID, in order to verify a user is an actual user of the product. Hi there! 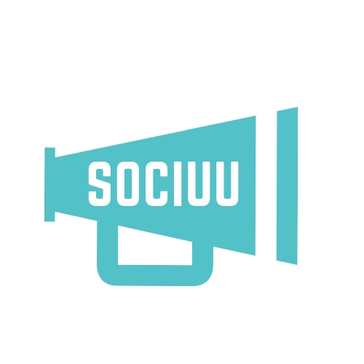 Are you looking to implement a solution like Sociuu?